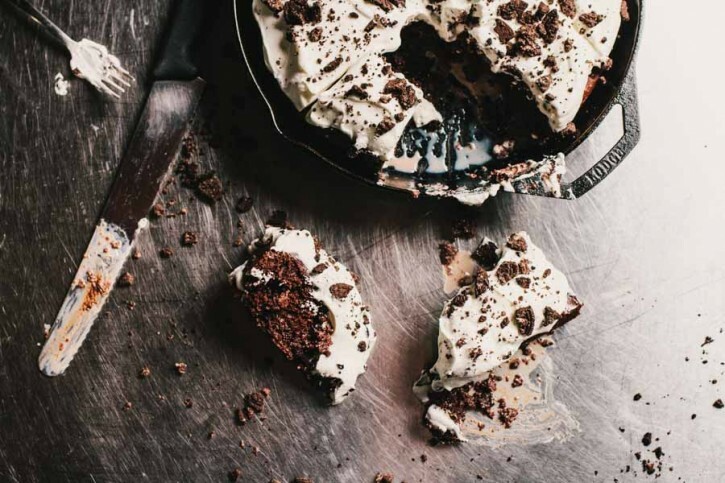 Take your cake game to the next level with this delicious poke cake recipe! Simple box cake baked on the Yoder Smokers YS640. Here’s where it get interesting! Poke some holes in your cake. No, really! Trust me, I’ve got a plan! 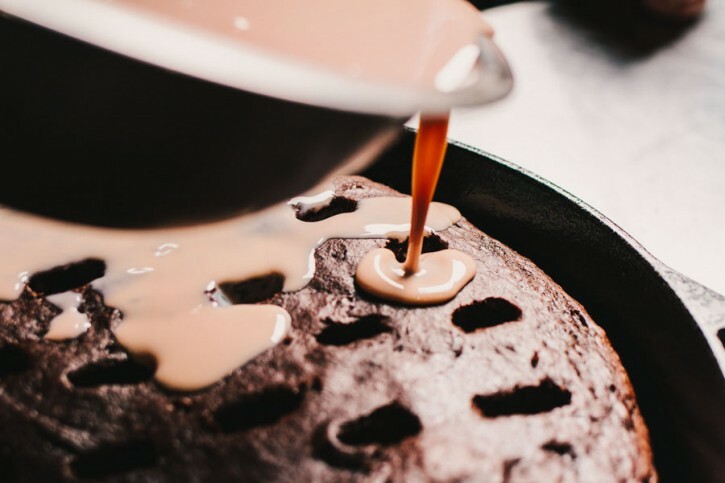 A mixture of sweetened condensed milk and chocolate coffee creamer is pour in and on the cake for maximum flavor and moisture! And who wouldn’t love a little more chocolate? Topped off with some home made whipped cream and crumbled Oreos. Now for the hard part, throw it in the fridge and wait. It’s painful, but don’t skip this step. As it sits, the liquid really has a chance to soak into the cake. In a mixing bowl, combine the cake mix, eggs and 1/2 cup melted butter. Mix until smooth. 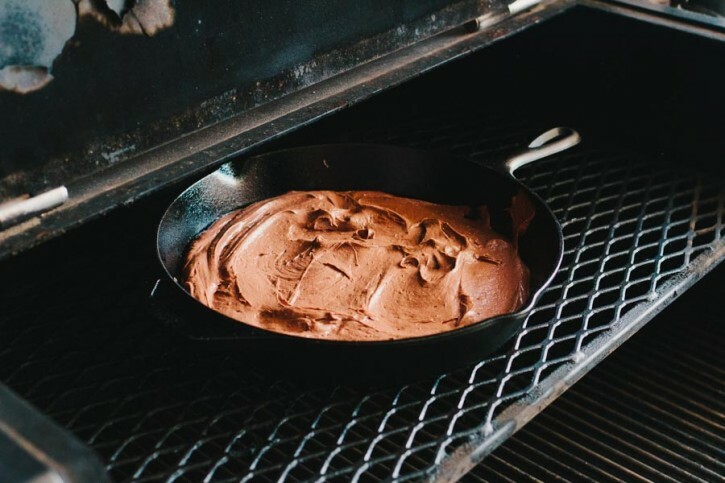 Pour into a greased Lodge Logic 12” cast iron skillet and spread evenly. Bake on the second shelf until a toothpick inserted in the center comes out clean, about 40 minutes. Remove from the cooker and let cool completely. 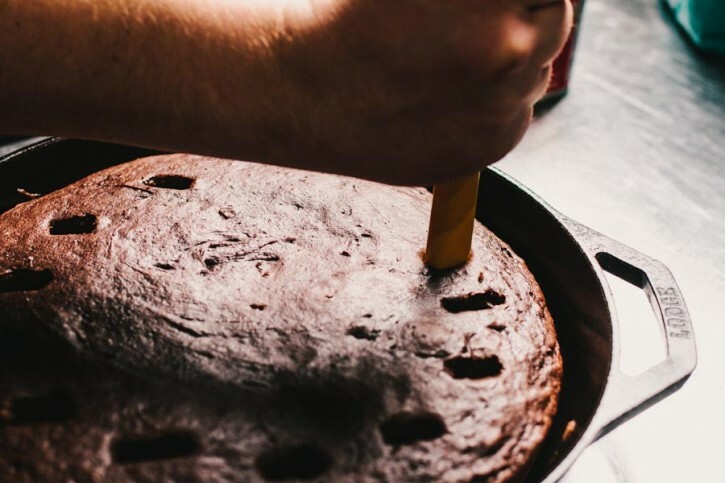 Using the handle of a wooden spoon, poke 15-20 holes in the cake. In a bowl, whisk together the sweetened condensed milk and 1 cup of the chocolate coffee creamer. 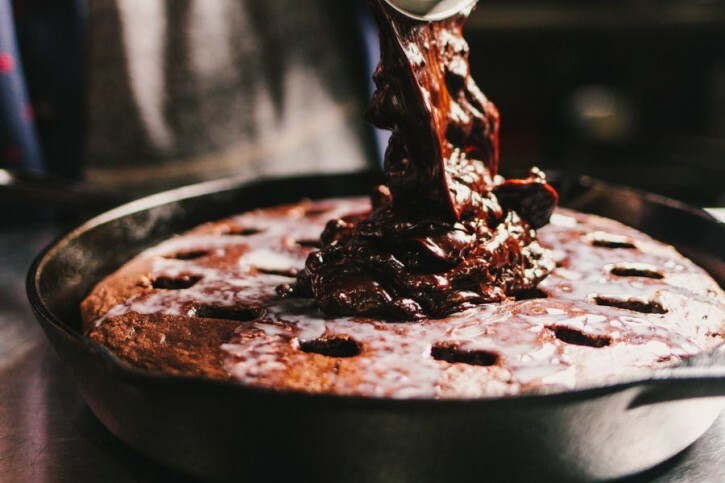 Pour over the cake, filling the holes. Combine the ganache ingredients in a microwave safe bowl. Heat until chips are melted. Whisk until smooth. Mix in 1 cup crushed Oreos. Evenly pour the ganache mixture over the cake. 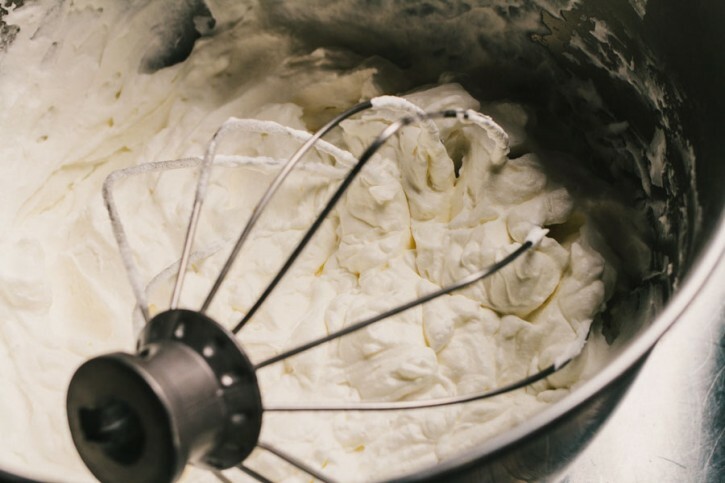 Combine the whipped cream ingredients in a stand mixer. Whisk on medium high until stiff peaks are formed. Spread the whipped cream over the ganache. 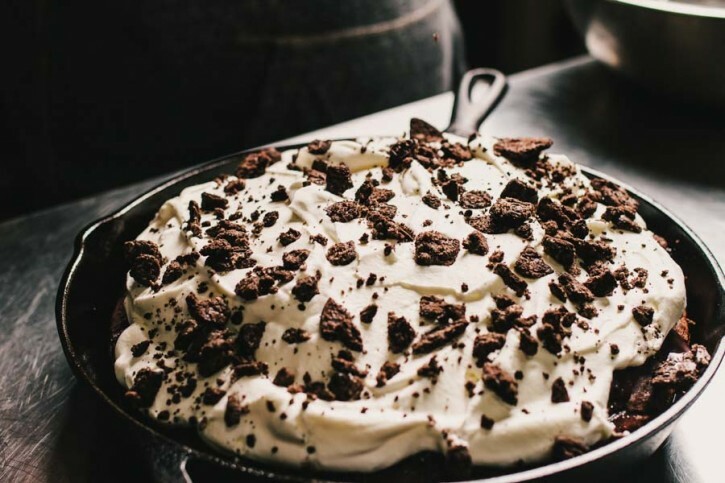 Top the whipped cream with the remaining 1 cup of crushed Oreos. Refrigerate at least two hours (to overnight) before serving, to allow the liquid to soak into the cake.